Congress vice-president Rahul Gandhi on 29 July fired a fresh salvo at the Narendra Modi-led Central Government over unrest prevailing in different parts of the country including Jammu and Kashmir, saying there was a peace during the UPA regime. "Today there is crisis in Jammu and Kashmir, anger in West Bengal, Tamil Nadu, Chhattisgarh, Sikkim and other northeast states. 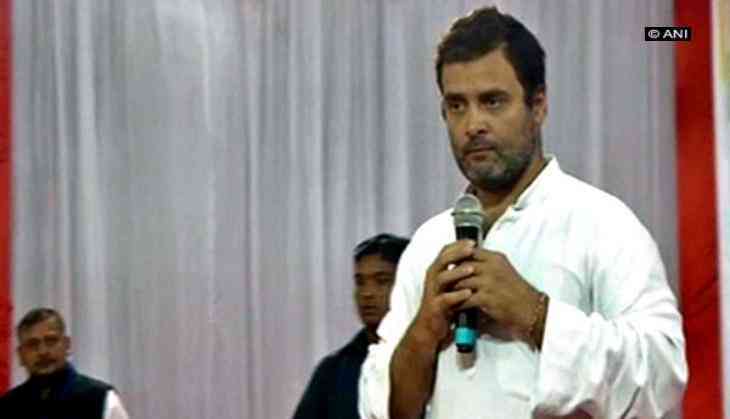 During UPA all was peaceful," Rahul said while addressing National Students' Union of India (NSUI) workers in Bastar. He further said that terrorism in Jammu and Kashmir was uprooted till 2014 and the state was a tourist spot then. "Till 2014 terrorism in Jammu and Kashmir was over. 45-50 flights used to land in Srinagar daily. Tourists would flock the region," he added. Earlier too, the Congress vice president slammed the Centre over its failure in controlling the unrest in Jammu and Kashmir and said, "I have been saying this for a long time that the policies of Narendra Modi and NDA has burned down Jammu &Kashmir." Rahul also blamed the ruling Bharatiya Janata Party (BJP)-People's Democratic Party (PDP) Government for creating space for terrorists in the Valley. "Modi's policies have created space for terrorists in Kashmir. Grave strategic blow for India," he had tweeted. He said Prime Minister Modi's party alliance with the PDP has cost India massively. "Short term political gain for Modi from PDP alliance has cost India massively. Modi's personal gain= India's strategic loss + sacrifice of innocent Indian blood," he had tweeted. The Kashmir unrest has become a matter of concern for the Central and state government with incidents of stone pelting, infiltration bid, ceasefire violation increasing in the state in past few month.